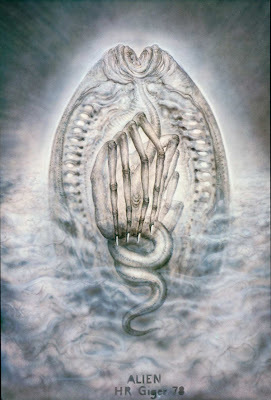 Alien Explorations: Delville's influence on Giger's Facehugger? 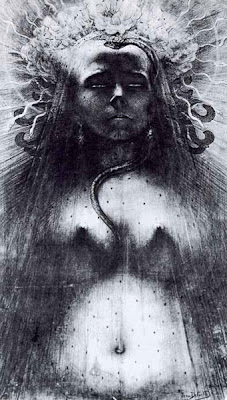 Delville's influence on Giger's Facehugger? 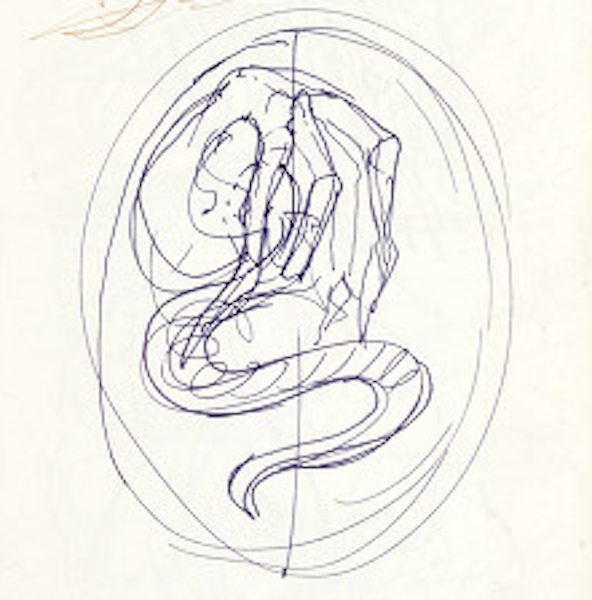 a) The zig-zag tentacle motif can be seen as visable as the facehugger tail in a sketch from Giger's notebook as seen in a video and in Giger's Alien Egg Version III during the film production and the egg's glow is inspired to by Delville's influence from Idol of Perversity. The other side though is that Giger purposely designed his Facehugger with a coil like tail so that it can spring out like a jack-in-a-box.